Sun sun go away and come again another day! I hate to be picky, but what we really need here is some snow and a lot of it real quick! The snow was supposed to come in today, but it never appeared. The sun came out in the morning and basically hung out in the sky all day. Not that I hate the sun, I took advantage of the nice weather and cleaned all my windows both inside and outside so as to better enjoy the view. Then did a major house cleaning, dusting and vacuuming etc., Traditional end of the year activities. 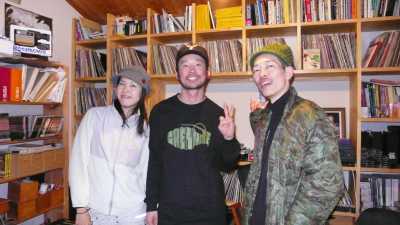 Shinya, Yaguchi Kaoru and husband dropped by on their way back from Rusutsu. They told me it was hard and crusty out there. A lesson in carving as Shinya put it! Sharpen those edges and get ready to lay down some deep carves for the next few days until something happens up there in the sky and a bunch of flakes start falling on us. As for me I am going to be chilling at home watching some snowboard movies and working on the computer. I have started the editing process for Car Danchi 3 already so there is always something to do. Enjoy the last day of the year! What kind of crap weather is this? Rain rain go away and come again some other day! Someday in spring or summer or fall, but not winter! Well the rumor about a big storm came true as it moved in over the island this morning. Things started off ok with some snow falling, then sadly it turned into rain all day long. 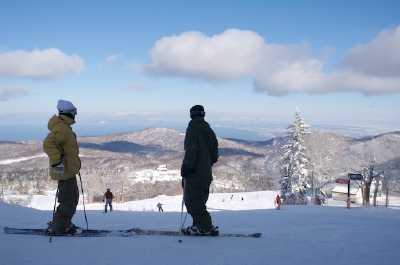 I hear that Niseko was closed due to high winds and the same for Sapporo Kokusai. I am sure a lot of other resorts were closed as well. Just as good, who would want to be out there slopping around in the slush. Unfortunately this is what has been happening the last few years here in Hokkaido. More and more warming trends throughout the winter. Seems like this only happened in November and early December before, but now we are getting rain in late December and into the new year. Hopefully the temperature will drop and stay low for the next few months. Keep those fingers crossed. In the meantime lets all listen more carefully to Al Gore. Lets keep our winters cold! Went up to Kokusai International today to shoot with Freestyle Skiers Shimo, Yasu and Yuuta. Was a beautiful morning, great blue sky and low temperature. There had been a few cm of new snow at my house overnight so I knew it would be good at Kokusai. The courses are all groomed nicely and there was some light dry Hokkaido powder in the trees. Not super deep, but the blue sky and the nice views made up for it. I am enjoying shooting with skiers for a change of pace, it is fun to see how they look at the mountain differently. I feel like such a slow loser always having to strap in and taking so long. They are more patient than snowboarders though, in fact they actually wait for me. Some of the locals were complaining about the lack of fresh snowfall, but I am sure it is going to come with a bang in the new year. Here is the view all the way to Shokanbetsu mountain across the Ishikari bay. There is always powder, you just have to know where to find it! What a great name for an event in Hokkaido! Premium Powder! I love it so much that it made me want to join the event. I went to The North Face store in Sapporo Factory the other day and saw this big poster for an upcoming event. They are using my photo of Shimo as the image of the event. This photo was shot last season at Teine Highland resort while shooting with Miura Yuichiro. This is a tree stump or rock that is a local favorite jump spot. I love the view you get from this angle on a sunny day. Wish I had my flash set up with me that day, but I was packing light that day, so Shimo is a little dark in the image. If you are interested in joining the event, please contact the Sapporo Factory store staff. The number is on the flyer, click for a large version. Enjoy your Premium Powder in the new year! at the Powder Company in Moiwa. 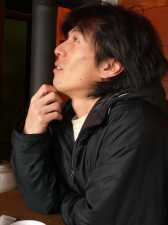 We chatted for awhile about the scene in Niseko. 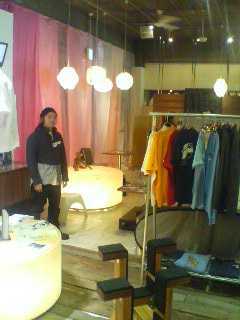 They have made the store into a cool cafe with good coffee and nice lunch menu until 6:30pm each day. If you go riding in Moiwa (which you should) then stop in after the morning session and have a meal. Real friendly staff there as well. They have a video monitor and they were also playing Car Danchi when I walked in. Nice to feel the love everywhere! I gave them a copy of UE_snowboarder to play this season. Then in walks Nobu from Loaf cafe in Kutchan. Filmed all in 8mm film and three years in the making this is the new movie from Yone! Nice package design and from the little I saw it looks like a good Japanese freeride/mountain ride film. Lots of good vibes and good music soundtrack. Might not be easy to find this movie for sale as he does not use a major distributor, but you should be able to pick up a copy in Niseko, at Loaf Cafe I am sure. 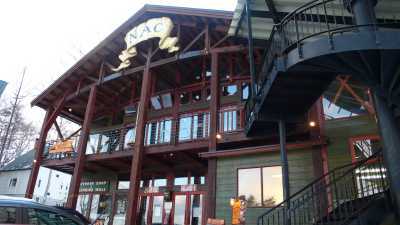 Then went to NAC for lunch. Good food as always. There were a bunch of white faces in there eating and drinking wine, ahh must be nice to be on holiday drinking wine in a foreign land! My friend Yoshimura asked if he could sell some DVDs in the store. 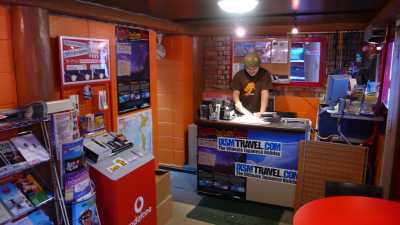 If you have any travel needs in Niseko area or maybe need a prepaid telephone card or want to buy one of my DVDs drop in and check them out. 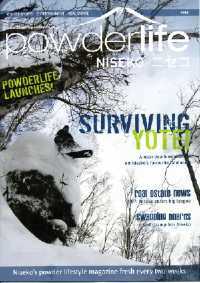 Then I hooked up with friend Ryan in the parking lot and he hooked me up with a copy of the new magazine Powder Life Niseko. 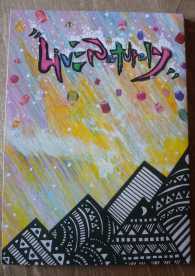 This is the first issue of a biweekly magazine all about Niseko. 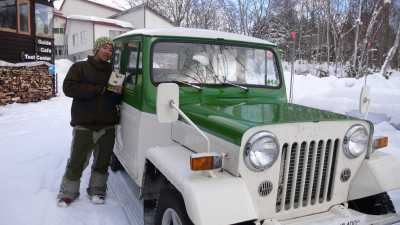 It is free so pick one up in Niseko. Ryan is on the cover of the first issue! Yeah cover boy! So all in all it was a good day in Niseko. The vibe in the Hirafu area is crazy hype as always and the real season for tourists has not even started yet! Lets just say if it were a western movie then the cowboys have taken over the Indian village! The amount of construction that has been done in the last year alone is pretty amazing and more is coming. There is a Lawson open 24 hours a day now so the old Seicomart has lost the monopoly out there. Lots of new bars and restaurants to choose from. 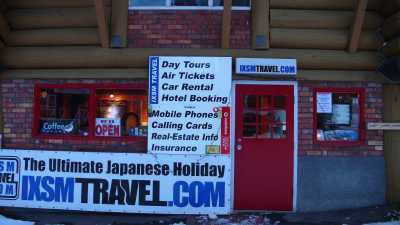 I hear there are a lot fewer places for Japanese people to stay cheaply though…. all the pension owners are selling out and in their place condos are being built and marketed to the foreign clients. Interesting situation out there. I also heard that a big storm is heading this way, said to arrive right at the end of the year. 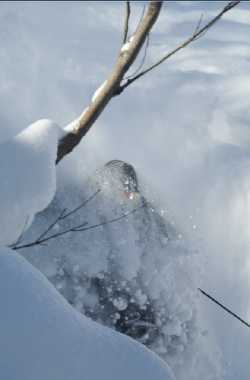 So that means Niseko should be the powder heaven it is known to be from the New Year! Enjoy! Went downtown today for the Christmas shopping like the rest of the population in Hokkaido! A lot of people out and about, but the roads have no snow on them so the driving is easy! Anyway stopped by a shop I had been meaning to visit for some time. Loved the shop. A great selection of clothing, snowboards, surf boards, outdoor gear and interesting items. They were actually playing my movie Car Danchi 2 on the screen when I walked in so it was a really nice welcome! 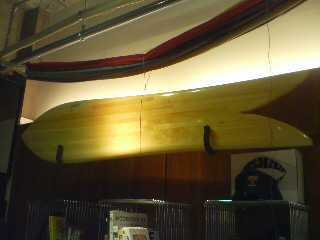 Check out this crazy snow/surf board by Gentem stick that was on display. This is a one of a kind item, not for sale but worth going in for a look. 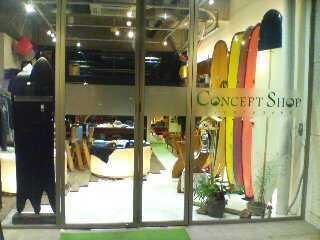 They also sell the whole Gentem line up of snowboards. Best surf style snowboards made anywhere! There is also a cafe inside the shop so make sure you stop in and have a coffee next time you are downtown Sapporo, tell them I sent you. 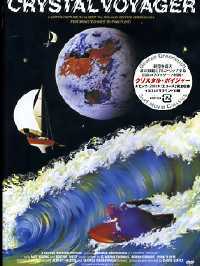 While I was at the shop I also picked up the DVD “Crystal Voyager” by George Greenough. A classic surf film that I had been wanting to get ahold of for awhile. Here is a little bit about the film taken from a good web site you can see here. A surfing biography about legendary design innovator and photographer George Greenough, shot largely in California. Greenough’s search for uncrowded waves drives his construction of a 37-foot ocean-going yacht that he claims is virtually unsinkable. With his surfing friends Richie West, a Californian, and Nat Young, Australia’s world champion surfer, Greenough takes to the cold Californian water, searching for undiscovered waves. The last 23 minutes of the film contains his legendary short film Echoes, composed entirely of extraordinary slow-motion footage shot inside the curl of the waves, the camera in a waterproof housing strapped to his back, with music by Pink Floyd. Here is the package artwork so you can find it in a store. All in all it was a good day of discovery in Sapporo. Hope you are all enjoying the Christmas weekend! Pray for a gift of snow on Christmas Eve as we need some fresh powder! Yesterday went out for a short photo shoot with local Freestyle skiers, Shimo, Yasu, Shouya, and Taisuke. We went to a local back country spot that is popular with film crews. Right away we saw a police car! They stopped and asked what we were doing, the cop seemed excited to be able to see some riding, but we were not ready yet. Then he told us there was another crew right around the corner. We went to investigate and found the Red Eye film crew! Yoshino, Fumio, Yuuta, and Takumi were all there! Small world out there in the back country. We ended up having a short sunset session and got in a couple of good shots. 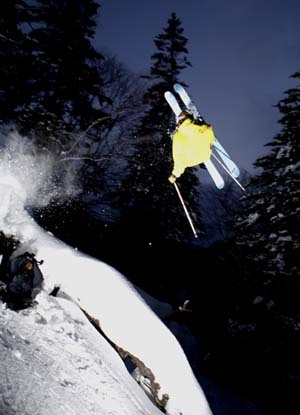 Here is Yasu with a cork 360. The back country conditions are still not that great. The snow layer in the Sapporo area is still pretty thin. We need another really big storm or two and then the “sasa” grass that is everywhere here in Japan will finally be covered. Looking forward to a big New Year storm!